This weeks sketch at Freshly Made Sketches is brought to us our very own talented Artisan Design Team Member Jennifer Timko! So many possibilities with this sketch. One of the perks of attending Stampin’ Up!s South Pacific Convention is that we receive stamp sets from the upcoming catalogue before it goes live in July. I have to tell you that I was over the moon when I saw that one of them was Kinda Eclectic – it’s another leaf stamp for me! I’ve also tried stamping the sunburst from this stamp set behind the leaves (which is kind of like a make and take we made at Convention). The flowers are from Petite Petals and the sentiment is from Simply Sketched. 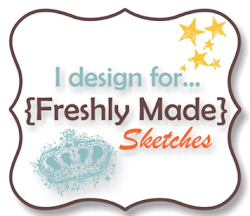 Head over to Freshly Made Sketches and take a look at the gorgeous inspiration from the Design Team. Beautiful love the colour of the D.S.P ,leaves look terrific and I really like the way you have pulled all these elements together !!! Beautiful. I love the way you stamped the sunburst behind the pretty leaves and flowers. Love the DSP too. Very pretty. Narelle, LOVE this card! I can’t wait to get my hands on Kinda Eclectic. How did you get the dark centers in the petite petals? Was that another stamp or did you just color them in??? Gorgeous burst of flowers! I think we are getting that set too! Love the sun rays in,the background! Beautiful card Narelle! 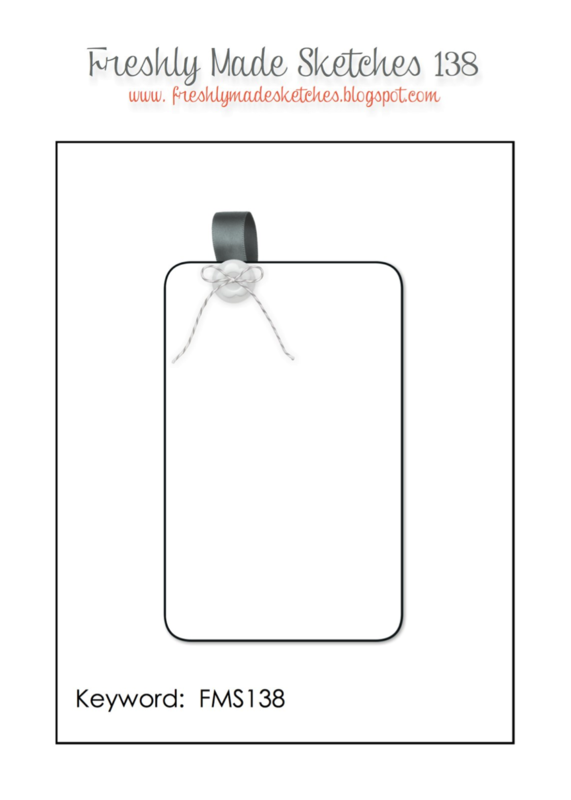 That stamp set is on my wish list….right near the top!!! I love the background DSP and those sweet banners peaking out from behind the centre panel! Super fabulous!!! That stamp set is at the top of my wish list too! And I love the starburst behind the floral cluster. What a great look! Fab card, Narelle! The rays in the background really highlight those gorgeous leaves! 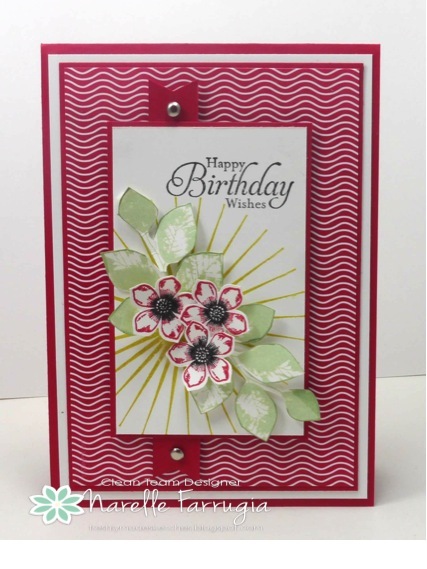 Fresh and beautiful…love the vibrant pattern paper! Yes, that’s the perfect stamp set for you! This card is so beautiful, and I love the starburst… very cool! WOW,Narelle!!Beautiful!! The colors,the flowers,the pattern…LOVE it!!! Yay — new leaves for Narelle! I love how you’ve arranged the collage and the colors are fabulous. Beautifully done! Oh wow! Three cheers for new stamps. Love the Petite Petals with the leaves and the gorgeous sunburst in the background.